For Thumbs nails of the week I am doing a mini review on the Scholl Velvet Smooth serum. People !! Can I just say I really love this product!. I have only used this product 3 times , but I can see a huge difference to my cracked heels. My heels look more smooth and less cracked. I am not saying I have the heels like a baby! However its hugely improved. 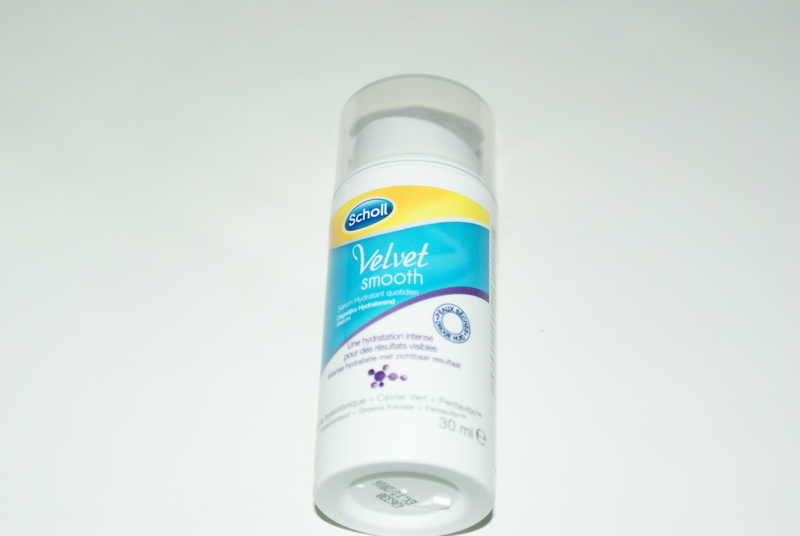 I love using this product after I have used my Scholl Velvet smooth electronic foot file. The product comes out of the tube in a gel consistency and you it rubs into your feet very easily. The serum smells a little like a hand sanitiser. Just a clean smell. The product works even better when you rub your feet in with the product and afterwards put a pair of socks on. I just give this product two Thumbs up! Its great and have nothing negatives to write about this product. This product contains 30 ml and you can buy it for €8,99 in the Drugstore. If you want to read about the haul I purchased this serum, click here. Writing this last sentence, concludes this weeks, ‘Thumbs Nails of the week’. Please let me know via a comment if you have any product suggestions for nails, hands and feet to try. And of course if you liked this , post please like or subscribe to Thumbelinas’lifestyle.com. Have a good day guys.